17 nappies per pack. Size 6 XL ideal for babies 16+ kg. Keep your little one smiling with Eco by Naty Nappies – the soft and comfortable disposable nappy that’s kinder to nature, whilst offering superior performance, leak protection and breathability too. 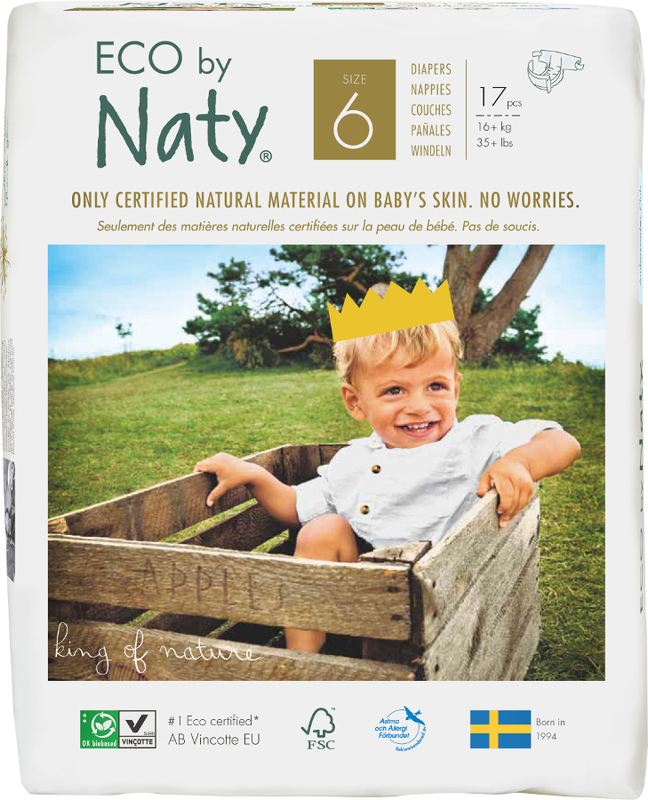 Totally free from chlorine, latex, fragrances and TBT (tributyltin), Eco by Naty nappies keep oil-based plastics away from babies delicate skin - ideal for children with more sensitive behinds. 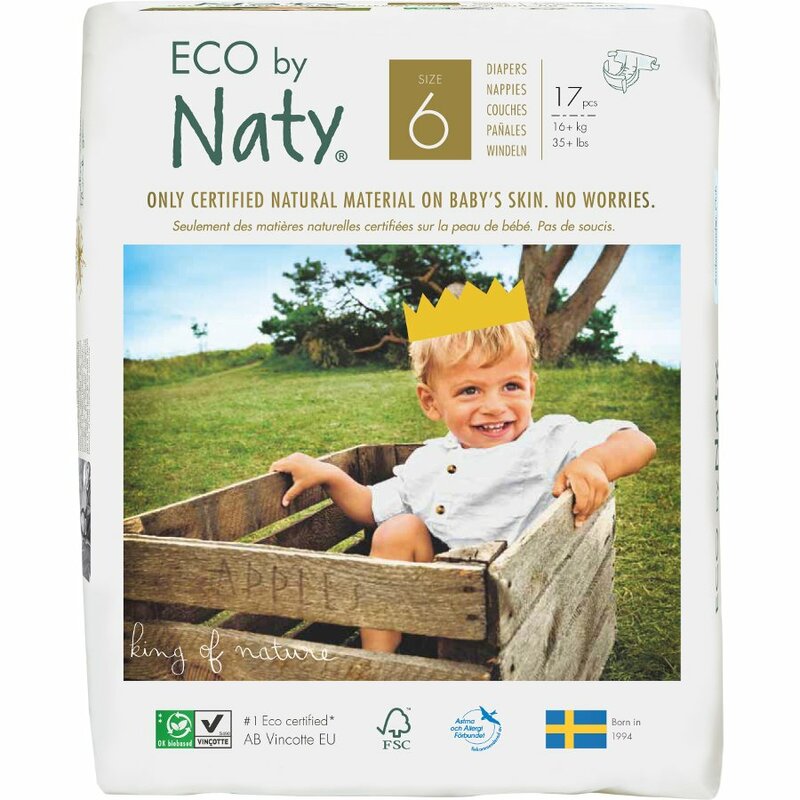 Eco by Naty Nappies are 60% biodegradable, are free from environmentally polluting dioxins, and come certified by the Swedish Society for Nature Conservation. The Eco By Naty Disposable Nappies Size 6 - Extra Large - Pack of 17 product ethics are indicated below. To learn more about these product ethics and to see related products, follow the links below. There are currently no questions to display about Eco By Naty Disposable Nappies Size 6 - Extra Large - Pack of 17.